If you need a public-facing logo for your business, one that will appear on signs and stationery and ads, one you and your customers will see every day you work, then you should get it professionally designed for several hundred (or thousand) dollars. If you only need something to put on your Facebook page and your monthly invoices, but you don’t have design skills or Photoshop, then you can get away with “customizing” a logo on a free or cheap site. We tried several and found three that work well enough to recommend. If we had to produce a quick and dirty business logo in the next two hours, we’d choose My Brand New Logo. The site charges 50 euro (about $57) for high-quality copies of a logo. Honestly, this seems fair, because MBNL is both slick and highly customizable. Tell MBNL your business name and slogan, and give it some tags so it can choose clip art. Then pick a layout—some are way better than others—and customize. The site will randomly present you 20 options, but you can load more. Everything is customizable, including typefaces, icons, sizes, positions, patterns, and colors. You can match any icon and color scheme to any layout. And you can gussy up a plain logo. You just can’t upload your own assets. Most of the logos on this site have the same kind of feel. As long as you’re comfortable with the benign design style that’s gentrified the world lately—that WeWork/Starbucks/Airbnb style that balances elegance, modernity, and approachability—then you’ll fit in. 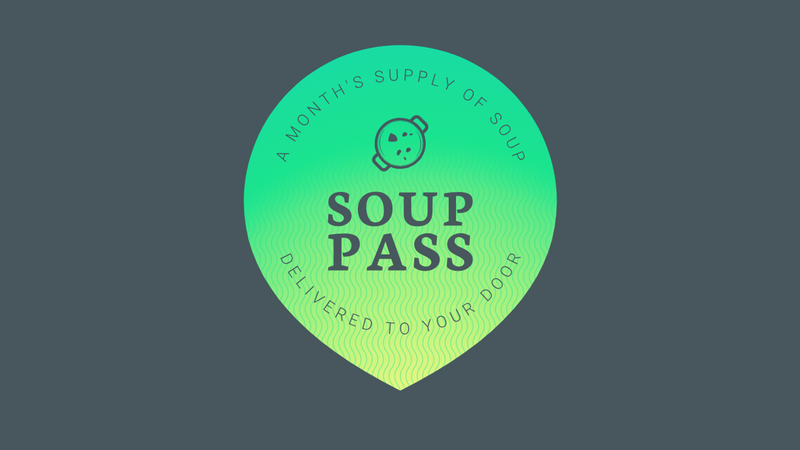 And that’s exactly the branding I wanted for my soup subscription service, SoupPass. Your 50-euro download package includes high-resolution and vector files with different color and size options, as well as some social media assets. It’s all the stuff you’d reasonably expect from a paid service. Hatchful is a free web-based logo maker (also on iOS/Android) from small-business management suite Shopify. If you can’t imagine paying even fifty bucks for your logo, you can still find something decent here. Hatchful’s customization options are limited. You can only choose certain combinations of colors and fonts. This might keep you from “playing house” and spending all day customizing. But I couldn’t find any text options hardy enough to convey the rugged spirit of Reckless Shipping. You can come back later and edit or re-download your assets. You’ll probably want to make some tweaks once you’ve seen your logo at different sizes and configurations. FreeLogoServices is not free! It costs $40 to download a high-quality copy of your log. We’d generally recommend the other two sites first, but if they’re not your style, then FLS seems like a fair option. Its biggest strength is its selection process, which makes more sense than the order of operations at the other sites. First, the site asks for the basic type and layout of logo you desire. As you narrow down your selection, the options in the background change to fit. The styles on FLS are much more traditional, more “late 90s MS Publisher.” Sometimes that’s what you want. The clip-art icons also come with their own multiple colors, a little flashier than the solo colors and gradients of the other sites. There are less literal options. I went with a logo that subtly evoked the two aspects of my funeral stylist business, Grave and a Haircut. The FLS download package includes high-res copies of your logo in color and black & white, and with or without a transparent background. The site also offers business cards, starting at $20 for 100. Again, reasonable, and serviceable. You get what you pay for. If all these designs seem cheesy, then you should probably spring for a real designer. Try searching on Dribbble, Behance, or 99designs. And get ready to pay a lot more than $57—good designers cost good money, and they should.